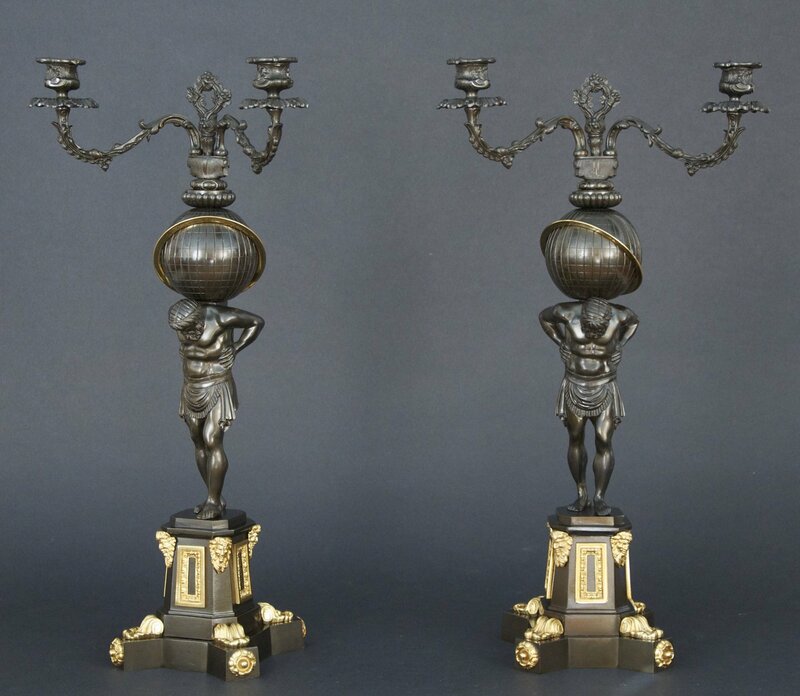 This magnificent pair of Regency candelabra utilize bases that will be familiar to collectors from their use on fine figural sinumbra lamps. In this instance, the bases depicting Atlas holding up the heavens support foliate cast candle arms. The cast iron base weights are impressed with the mark TC SALT for Thomas Clutton Salt, one of the premier Birmingham lamp manufacturers. A closely related pair of three-arm candelabra with Hercules bases are in the library of Bowood House in England.